Every Richmond homeowner wants their property to look its best. In order to achieve this goal, you will have to repaint the exterior of your home. 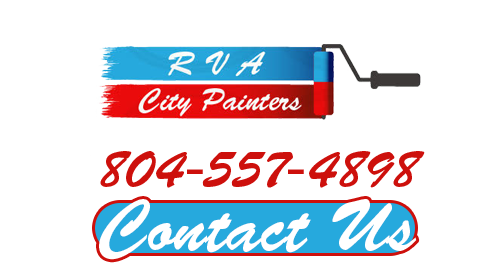 At RVA City Painters, our painters are here to help you with every aspect of exterior painting in Richmond. When you hire our experts, you can rest assured knowing that you chose the best house painters in Richmond for the job. We have over 30 years of experience in the house painting industry. More importantly, our painters take an immense amount of pride from our work. This fact will be evident in the high quality results that we provide. If you are planning to paint the exterior of your Richmond home, call RVA City Painters today. Our house painters would be very excited to help you get this project started. Our staff can answer any questions that you may have and can schedule your appointment for an estimate today. We look forward to providing you with the finest exterior painting services in Richmond! In order to have the most successful painting project possible, it is important to take the time to plan the process. Our Richmond painting contractors will be here to guide you through every stage of the effort. First, we will personally inspect your home. After the inspection, our exterior painting design professionals can advise you as to which colors will work best with fixed colors of your home, landscaping, and surrounding properties. Then our team will help you choose the materials that will achieve your unique goals most. During the material selection process, our team will help you choose a paint that can stand up to extreme temperatures and prolonged exposure to the sun. In this way, we can guarantee that your exterior paint coat will provide your property with the highest level of protection for the longest time period possible. When people try to conduct their exterior painting project on their own, the results are often substandard and lackluster. Even worse, after only a couple years, the paint can begin to fade and crack. The primary reason that this happens is that people fail to conduct necessary preparatory steps. 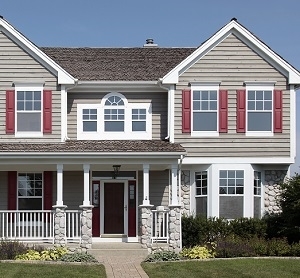 Before we apply paint to the side of your home, our Richmond painting services team will make certain that every surface is repaired, prepared, and absolutely ready for the paint coating. By doing so, we will be able to beautify and protect your property for the long term. At RVA City Painters, we know how important your home is to you and your family. As such, during your exterior painting project, our main goal is to achieve your complete and total satisfaction. Our Richmond house painting experts will customize all of our efforts to your specific needs and goals. In this way, we can guarantee that you and your family will love the look of your home for years to come. If you would like an estimate for exterior painting in Richmond or the surrounding areas, please call 804-557-4898 or complete our online request form.